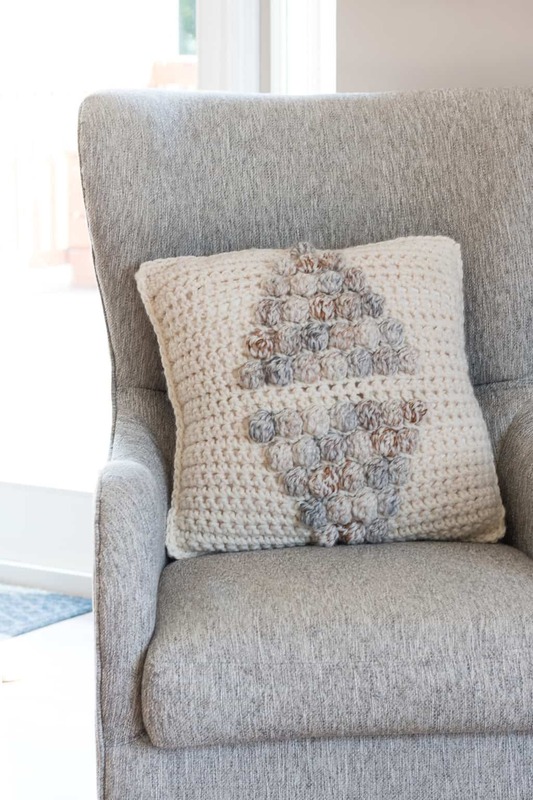 This crochet pillow cover is easy to work up, uses simple crochet stitches and would look great in any room! 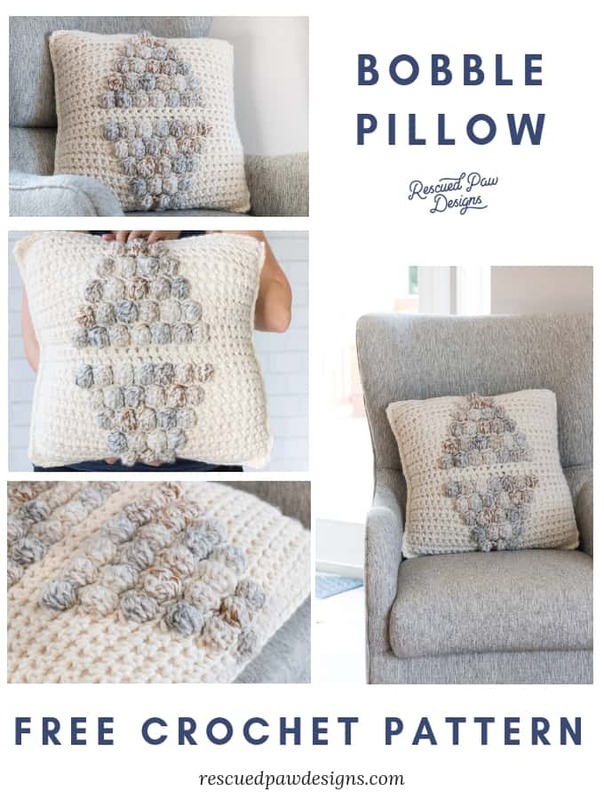 Read on down to find the full, free crochet bobble pillow pattern & stitch chart so you can get started today! The bobble stitch is one of those crochet stitches that looks intimidating but it really is quite easy to work up! I love this tutorial from Alison over at the Dream a Little Bigger blog where she explains it in detail perfectly. The bobble stitch adds awesome detail! 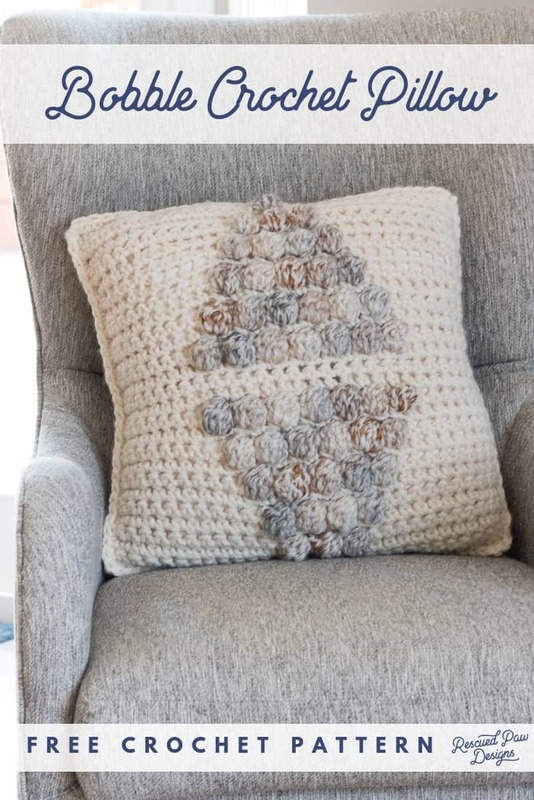 The bobble stitch adds such an amazing detail to most any pattern and this pillow cover is no exception! I decided to go with a triangle pattern design to really showcase the bobbles and give it a modern flare! 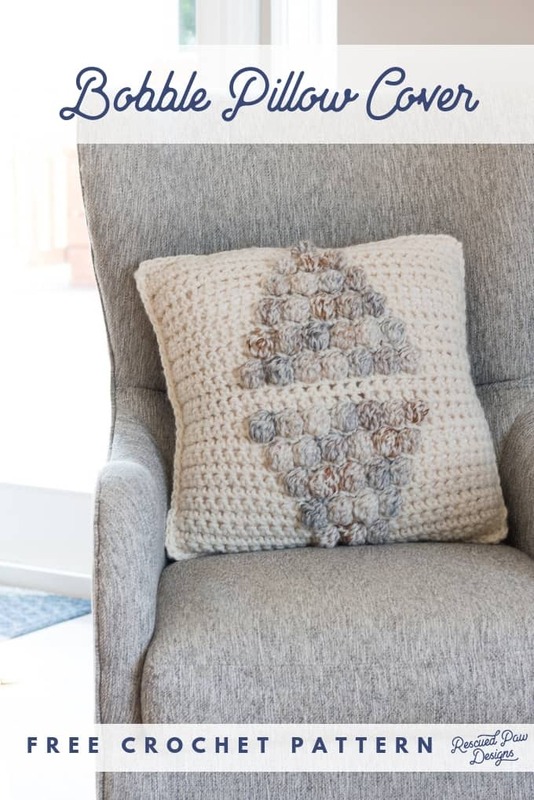 This crochet pillow cover is great for beginners since it uses almost only single crochets! The front panel is worked in a combination of single & bobble crochet stitches while the back is worked entirely of single crochets! 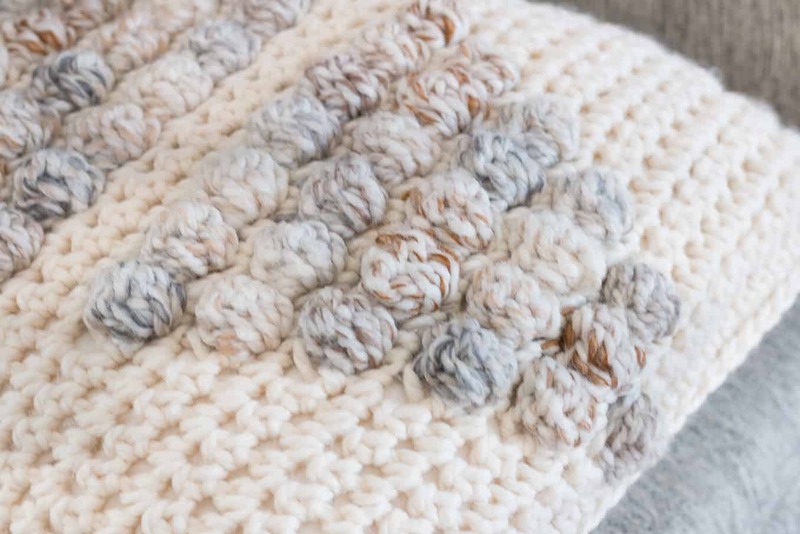 This crochet stitch will become a fast favorite! Doing the bobble stitch in crochet is one of my favorite crochet stitches to work up so I KNEW I had to create something I could see everyday with the stitches in it. I can’t wait to see you guys make this pattern. I promise you can do this! 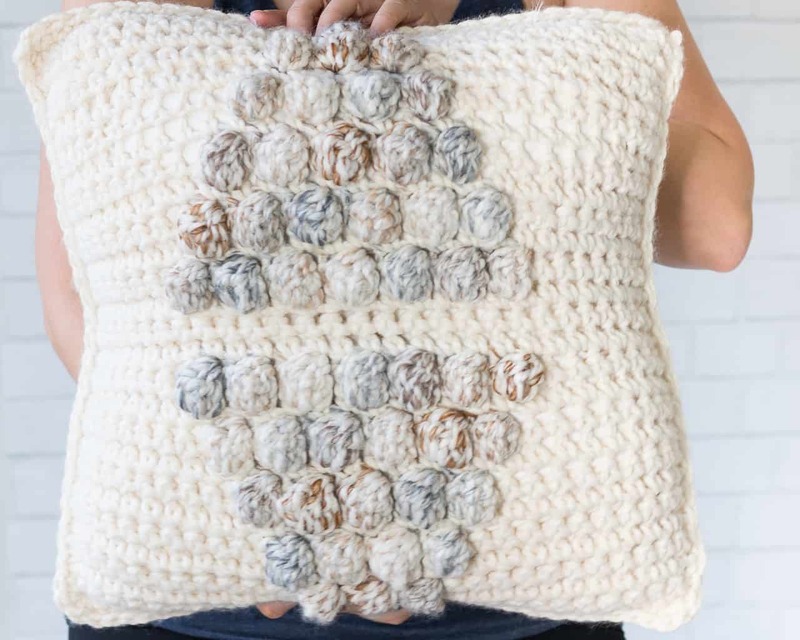 Read on down to get the free crochet pillow pattern and let me know what colors you pick! Happy Crocheting! Bobbles are worked in an different color than the single crochets. I used the colorway Fossil but any color from the Wool Ease Thick & Quick line will work! Row 26: Repeat row 2 (29) and then fasten off yarn. After row 26 do not fasten off yarn. Hold the two panels together with the right sides out (the two sides you want showing when you are done! ), with the linen yarn you didn’t fasten off start sc across through both panels to join doing 28 stitches across. when you reach the corner stitch (or last stitch along the row) do 3 single crochets in once stitch, continue sc along the other side through both panels continuing to join. continue doing this until you reach the last side. Insert the pillow insert, then sc along the last side to close up, end with a sl st into the first sc of the border. 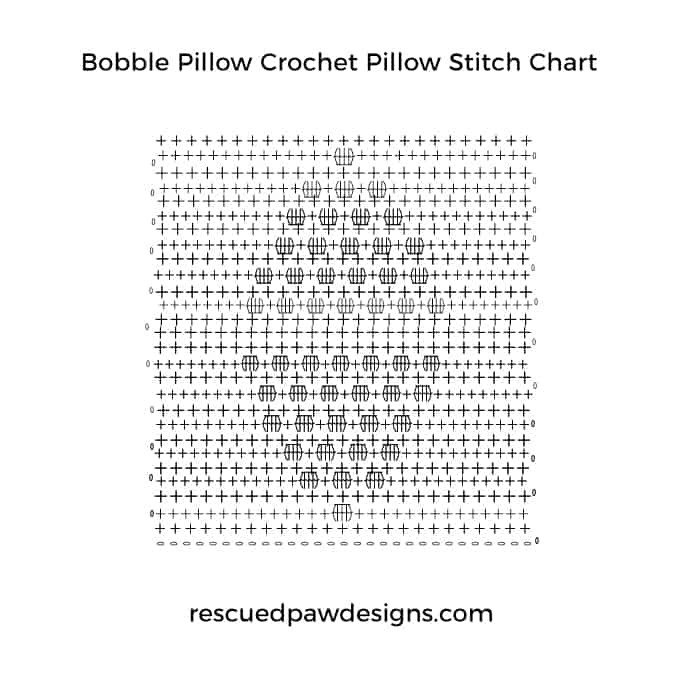 Find even more Free Bobble Stitch Patterns! This pattern is part of a blog hop with some other great designers which I am so proud to be along side! 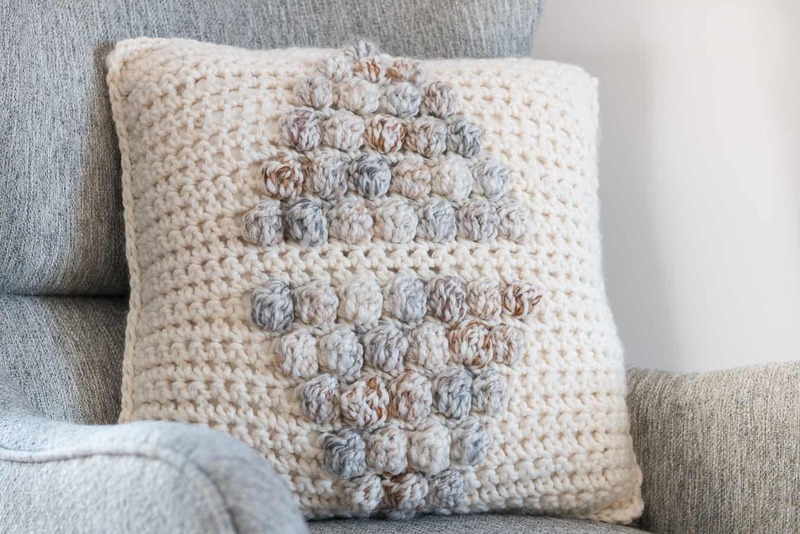 Be sure to scroll down to find the full list of free patterns that we all designed for this bobble crochet stitch blog hop! 6 Bobble Stitch Crochet Patterns that are all FREE! If you’d like even more free crochet patterns follow along with me on Instagram or on Pinterest.